The Market Will Correct but When? Look folks, I am not a doom and gloom type of person. Only in accounting and economics, when you tell the truth, and the truth is not good, you are labeled a pessimist. No one road up to Paul Revere during his famous midnight ride and said, “Hey Paul, stop coming around here with all this doom and gloom talk about the British.” And as we go on with life painting Paul Revere as a hero, as we should, I tend to be seen nowadays as getting grumpier in my older days. But yet, no one asks why am I not the belle of the economics ball? Is it because of my suit or the fact I told you the truth about the punch? Speaking of punch, I meet so many people who have drunken it. They are dancing cheerfully and singing joyous songs, as I watch the world continue to be cyclical. My friends, I ask you, does not the King tide recede? Does not the hottest summer turn into the coldest winter? Does not the full moon go back to the new moon? So why is everything in your life cyclical but the stock market. Peaks are the beginning of troughs not new peaks. Any climber will tell you that once you hit the mountain summit there is nowhere left but a return to the valley. Yet here we are. The longest bull market in US history. The lowest unemployment rates in decades. Job participation rising. Consumer Confidence at all-time highs. Inflation is within the Federal Reserve comfort levels. Corporate profits are setting new records. It is very easy to make a case the American economy is at the top of its game. Now, the question is, can the American economy do this forever. And the historical answer is no. It is a near certainty that someday, one day, the economy will cool. So the thousand dollar question is not if the economy will cool, but when will the economy cool. And that, my friends, has been the ultimate conundrum of this record setting bull market. “If Donald Trump wins the election, US stocks (and likely many other markets overseas) will almost certainly tank” Was the headline in October 24, 2016 CNN Money. I guess not only the right can take futile shots at guessing when the stock market will have a correction. But, at any rate, the correction will happen. Now we must wait in see when the market will correct. Kush Jenkins is a professor of accounting and business at Northern Virginia Community College. 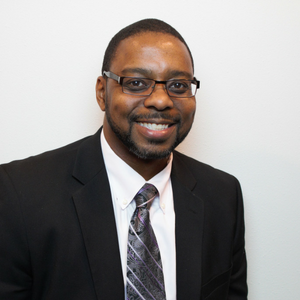 Professor Jenkins has taught at John Tyler Community College, J Sargeant Reynolds Community College, and Southside Virginia Community College. He received his B.S. degree in Political Science from Tuskegee University and obtained his M.B.A. and Graduate Certificate in Accounting from Indiana Wesleyan University. At X-Mode, Kush works closely with the CFO to lead the financial processes of the company and is responsible for accrual accounting, financial preparation, and additional projects related to company performance improvements. He manages all regulatory and tax document preparation.